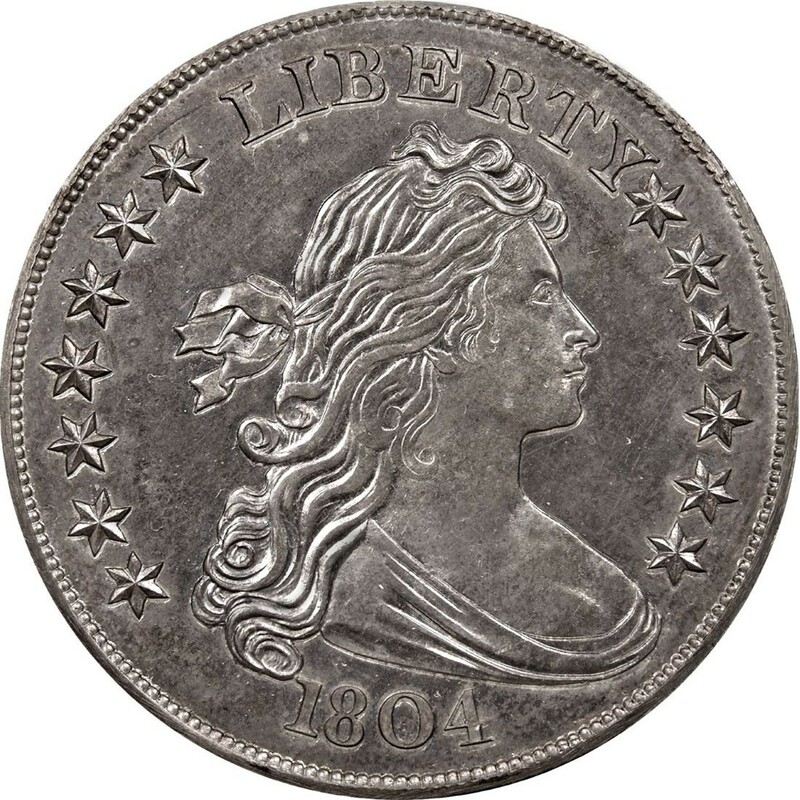 The 1804 Draped Bust dollar is one of the most famous coins in the world. Widely noted as the King of American coins, 1804 Draped Bust dollars are the poster child of United States rare coins and represent the holy grail of collecting for many hobbyists. But what makes these 1804 dollars so special? Why are they rare? Weren’t there thousands of silver dollars made in 1804? Q. When were 1804 dollars made? A. The United States Mint government authorized the production of a handful of 1804 dollars for use in special presentation proof sets that were given as diplomatic gifts overseas. There is a degree of mystery on exactly when these 1804 silver dollars were minted, though by most accounts numismatists believe it was around 1834 or 1835 that these special presentation pieces were struck. Q. How many 1804 dollars were struck? It should be noted that the mintage figures above are based on all known specimens, and it is by no means impossible that there are other 1804 dollars floating around. This, however, is extremely unlikely as 1804 dollars are among the most studied coins around and after some two centuries there is every reason to believe all pieces in any active ownership would have come to light. Q. Mint records from 1804 show there were 19,570 silver dollars made that year – that’s more than the 19 listed above. What’s up? A. While there is a degree of mystery behind much of what happened at the United States Mint during its first decades of operations, there is substantial evidence to suggest that all dollars recorded in the 1804 mint report were dated 1803. 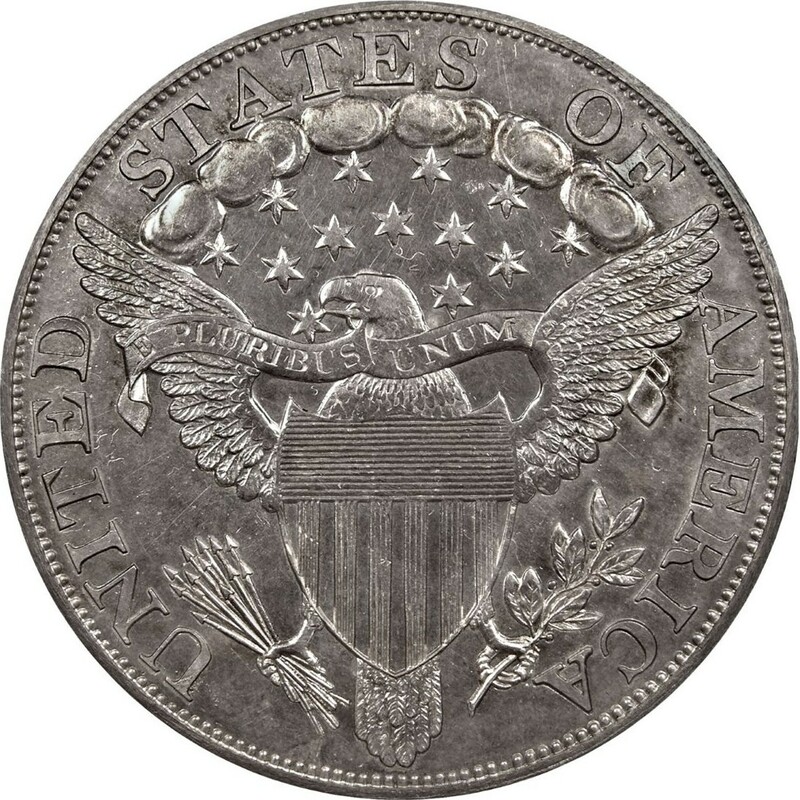 Further, the well-documented striking of the 1804 dollars for the presentation sets in the mid 1830s, plus the restrikes that were made for collectors soon after, justify the existence of only 19 of these scarce dollar coins. Q. What do 1804 silver dollars sell for? A. The finest example of the 1804 Class I silver dollar appeared at auction in 2016 and garnered a bid of more than $10 million but did not meet reserve and thus did not sell. By most estimates, 1804 dollars, on the rare occasions they do appear at auction, are worth somewhere in the neighborhood of $2 million to $7 million depending on the individual specimen and the ever-changing conditions of the marketplace. Q. I’ve got an 1804 silver dollar – where do I sell it? A. While you may happen to be one of the few private owners of the 1804 dollar, it’s much more likely you in fact own one of the countless 1804 replica coins. These are very common and are usually worth only the value of the metal used to make the coins. They can be sold for bullion value at your nearest coin dealer (about $11.57 at current silver spot price).